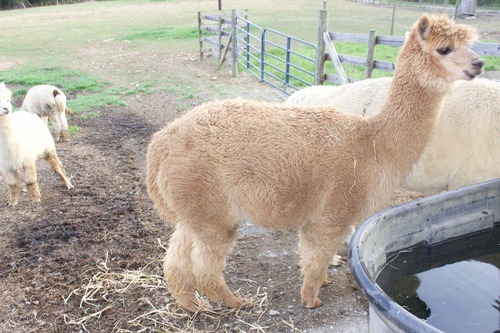 Clara Belle is a 3 y/o female with good genetics, solid confirmation and nice fleece. 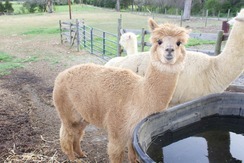 Her sire, Valedar's Hemiaccoyo Ambassador comes from the excellent program at Timberland Alpacas. Her dam, Victor's Olivia was sired by Pperuvian Victor,whose legendary fleece has been passed to his descendants. As you can see from her fleece picture to the right, she has very good character and consistency to her fleece. Gave birth to a beautiful male cria out of Snowmass Matrix Adrenaline Rush on April 8, 2017.